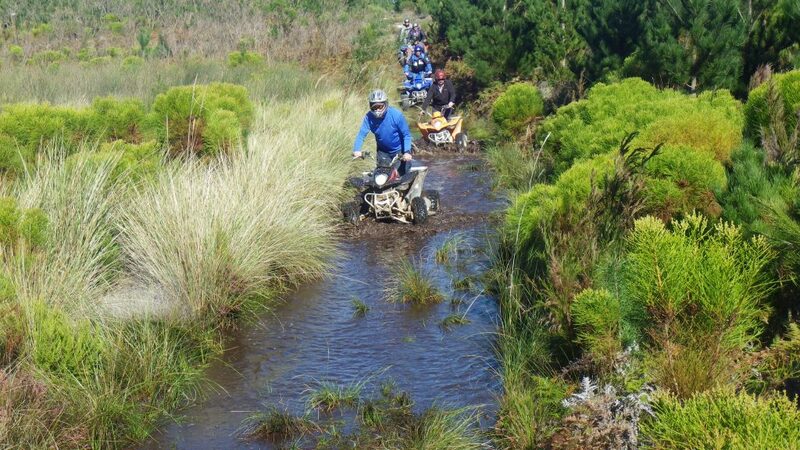 Teambuilding Quadbiking – A guest blog below from one of you happy teambuilding customers. 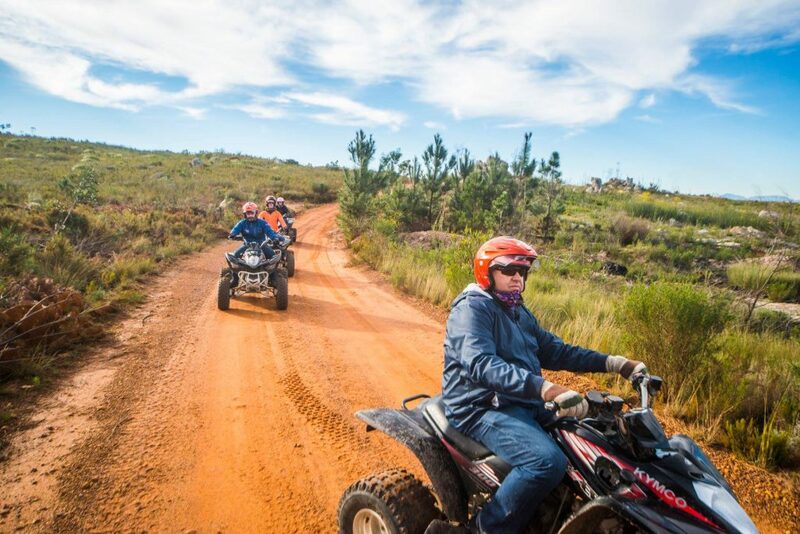 ­­For an outdoor teambuilding experience with a difference everyone has to go experience the Nature Discovery quad bike trails – (Part of the SA Forest Adventures family of companies). This branch is nestled in the Elgin valley centered in the town of Grabouw. 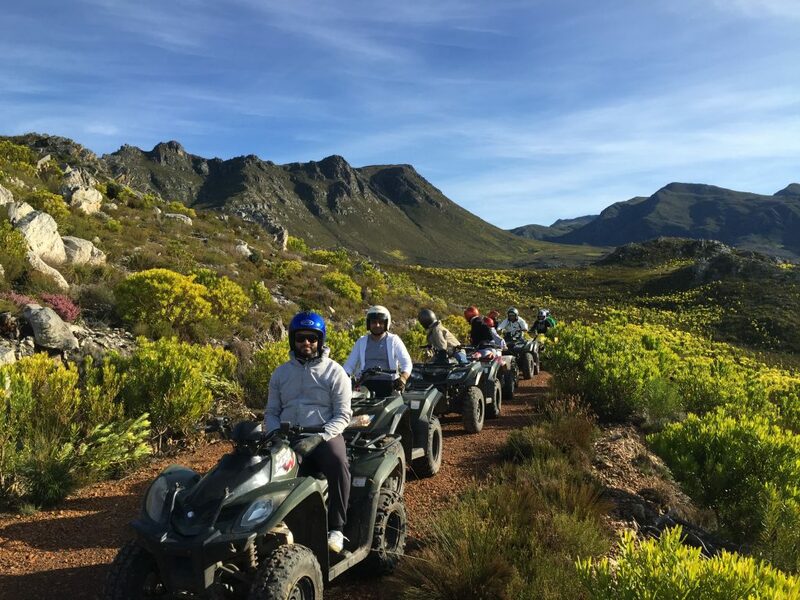 Circled by the Hottentots Holland Mountains the broad upland valley lies about 70 km southeast of Cape Town, which makes it the perfect break-away being a measly 45 minutes from Cape Town. Here a number of Quad Bike trails await with one of the largest fleet of quads in South Africa for your teambuilding events. At 9:00 in the Morning when we arrived, we were blessed with the perfect winters morning weather, the sun grazing graciously through the trees and lighting every single drop of dew on the grass, we were welcomed by 4 Rangers/Guides who were very professional, neatly dressed and polite, we proceeded signing our indemnity forms (hoping nothing extreme will happen to me today) and fitted our helmets, (the jokes already started between the group guess it’s nerves and excitement) we each got our fitted helmet which immediately made me feel much more of a professional quad bike driver (even though I’ve never been on one). 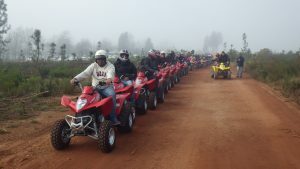 Each of us were introduced to our own personal quad bike and given easy instructions, briefing on safety and a time-line on our 4-hour quad bike experience. 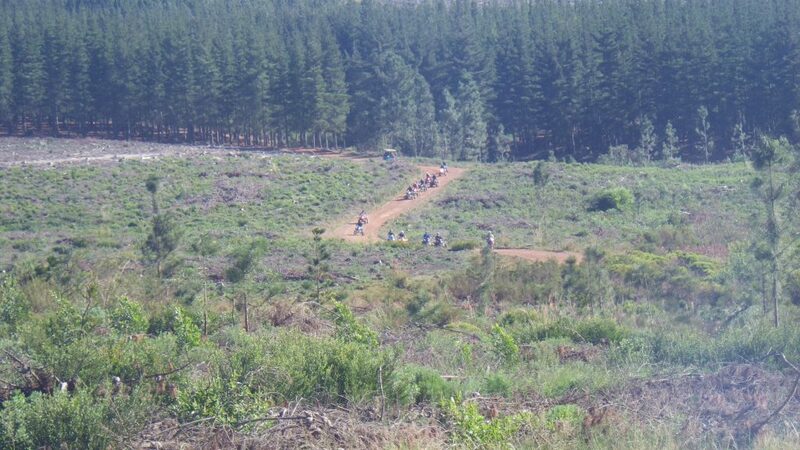 We followed by doing a practice trail, thus by this time every one has settled and become familiar with their quad. 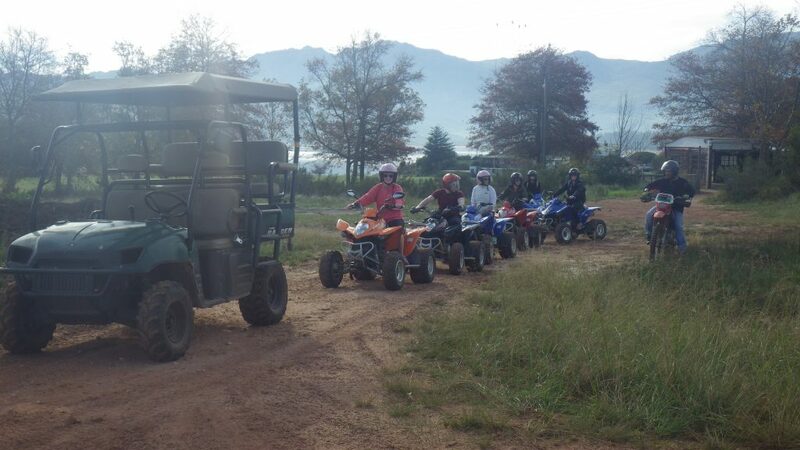 As soon as we all had the confidence with our quads we started our fascinating adventure into the mountains. 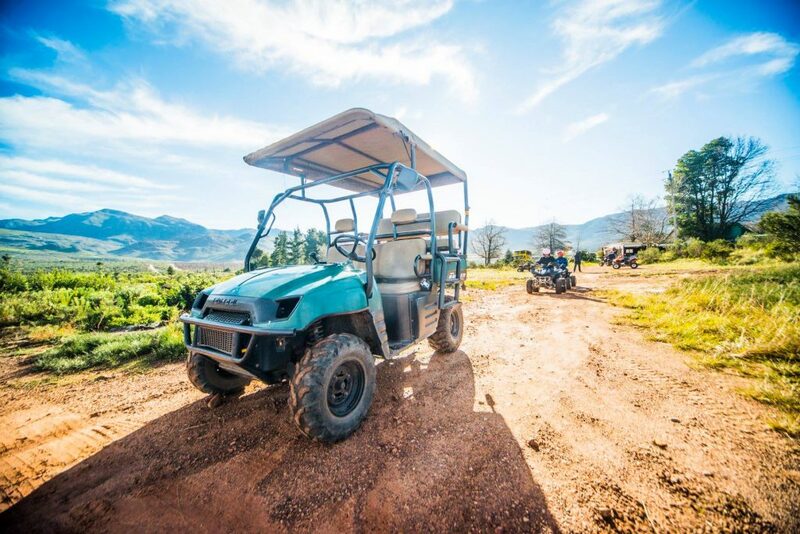 The Elgin Valley is home to Appeltizer, one of the worlds most renowned soft drinks, where along with various fresh produce, most notably apples, pears and grapes fill the landscapes as far as the eye can see. 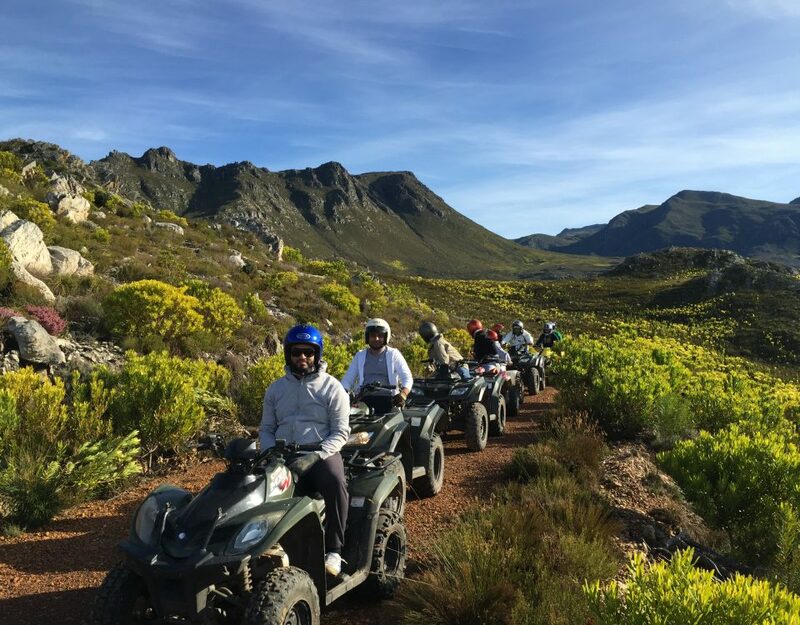 The beautiful country landscape allows you to escape the city life; the beauty of nature will mesmerize the whole family, or team. This is the perfect activity to reconnect with nature and your true self. 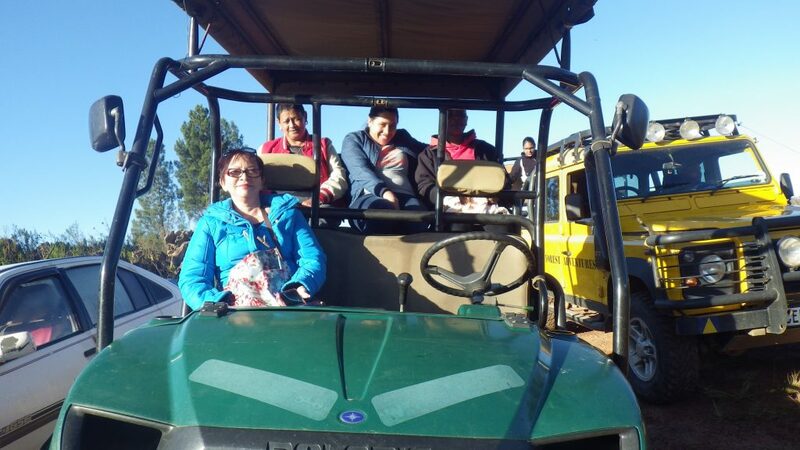 Being surrounded by the magnificent views and outdoor water streams seaming from the mountains, everyone’s spirit and energy is lifted. 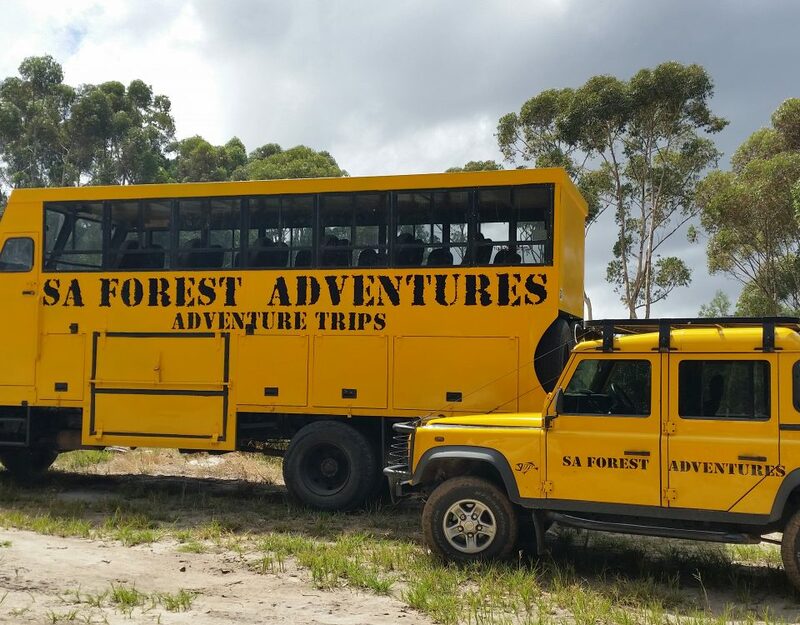 Now and then the rangers make sure every one is comfortable with the environment traveled and everybody is still comfortably keeping up. 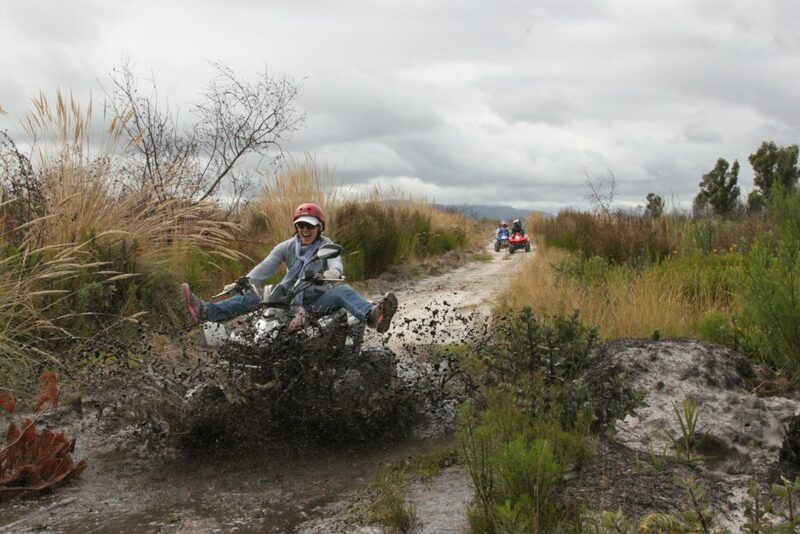 The terrain traveled up the mountain to our first stop covers various conditions from tar road, over train tracks, between plantations, a bit of rocky trails and most fun of all water pools, each of us connecting to our inner child as we race trough the water (one of those things our mothers frowned upon). 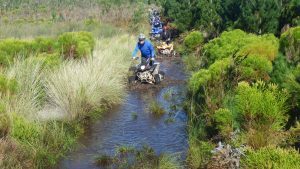 Some in our team opted to rather attempt the trail with a guide driven Polaris Ranger as they simply wanted to take in the natural beauty and not be hassled with driving – this was also a nice option as a number of 4×4 vehicles assist during large Teambuilding events. 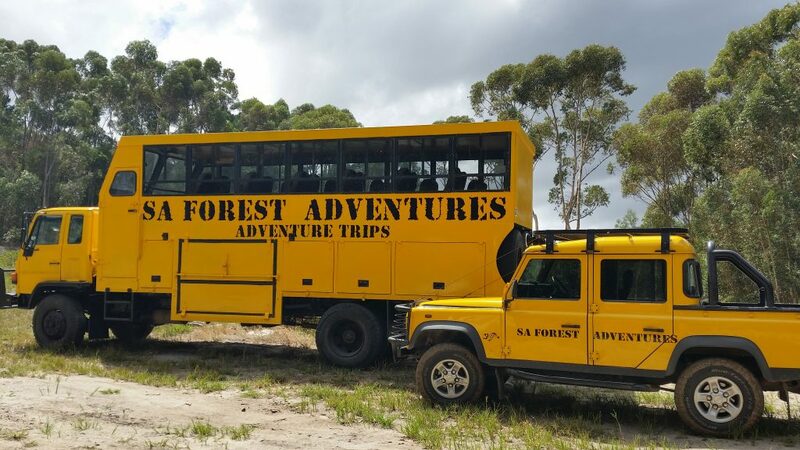 Every few hundred meters we transport further into the woods and up into the mountains still nothing but you and nature. Some places we went you might not even know what continent you’re on! 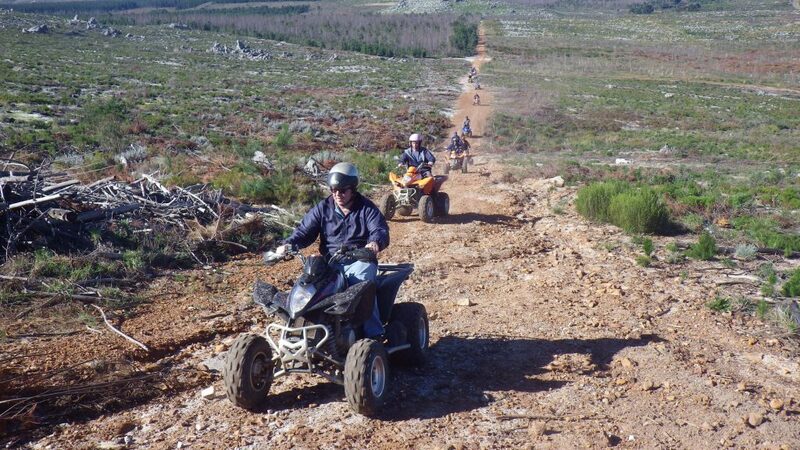 Since there are no trends, influences, or expectations, and you are free to ponder life on your quad bike. It can be very spiritual to spend some time removed from anything man-made. 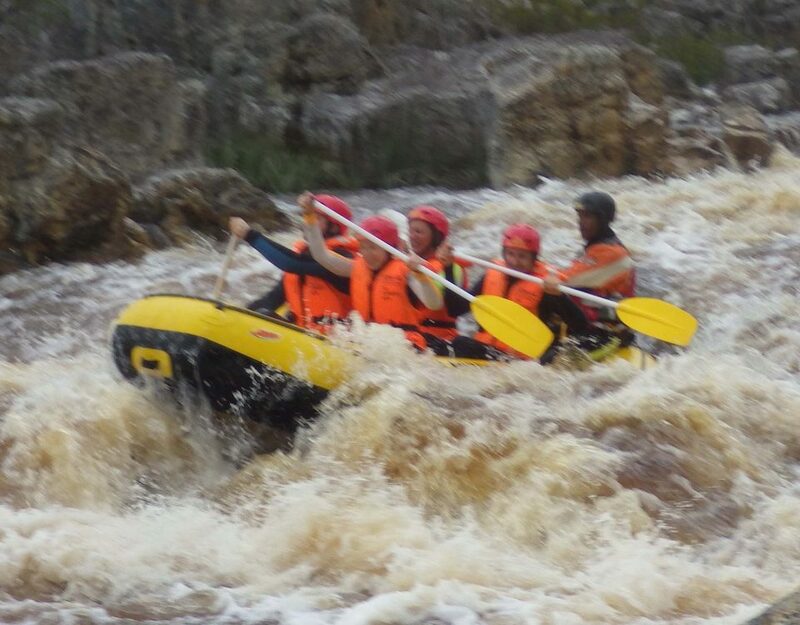 This was an awesome experience as a teambuilding program. This Experience is a reminder that we are not infinite. 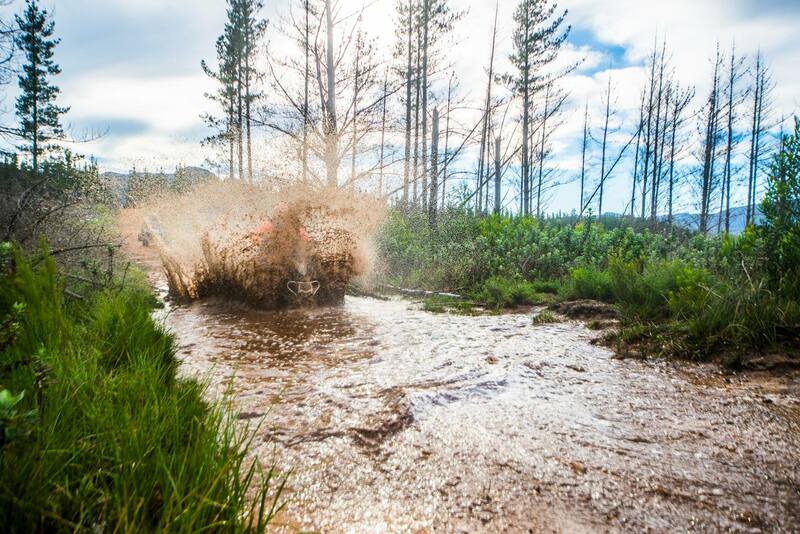 We are faced with one of the most beautiful views the Western Cape has to offer. Standing on the mountain looking down on the life has a calming effect. 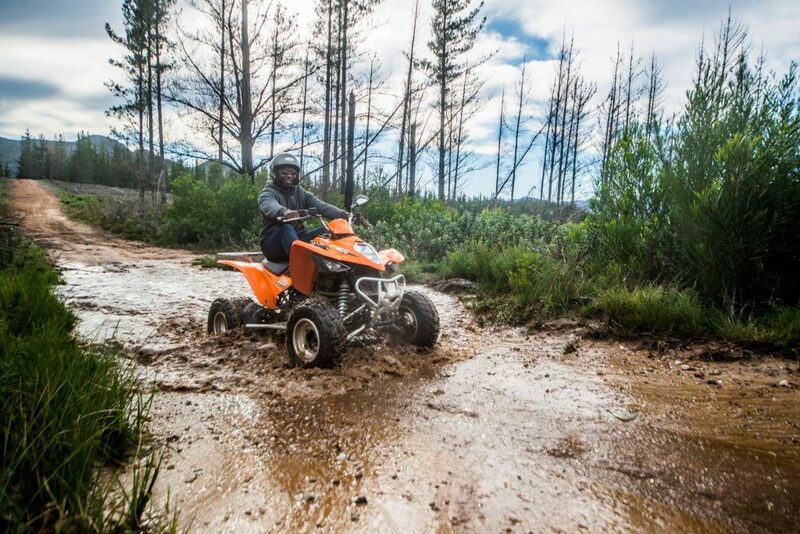 Just when you think you’ve seen it all, this quad adventure in the outdoors made me realize how little you actually know about the place we call home. 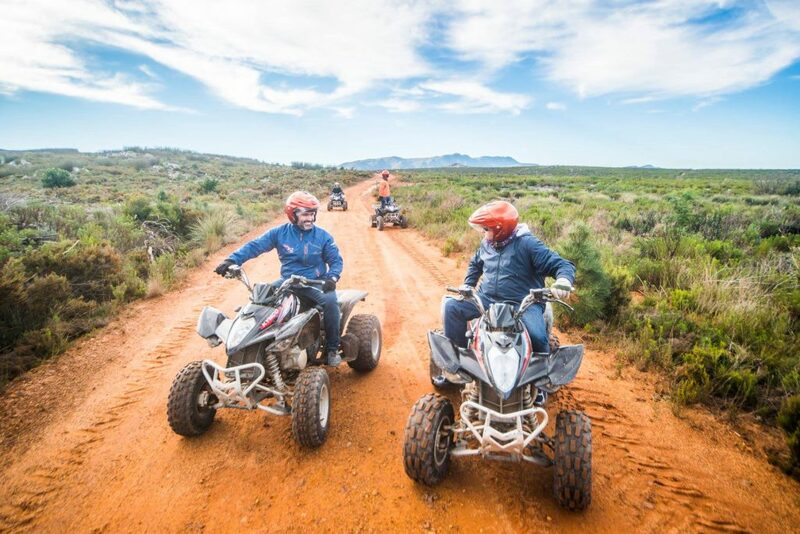 Hundreds of species of plants and animals live amongst each other in the Elgin valley. This is the way the eco-system is meant to work — each fragment contributes to a greater balance as they coexist, humans could certainly stand to take note. 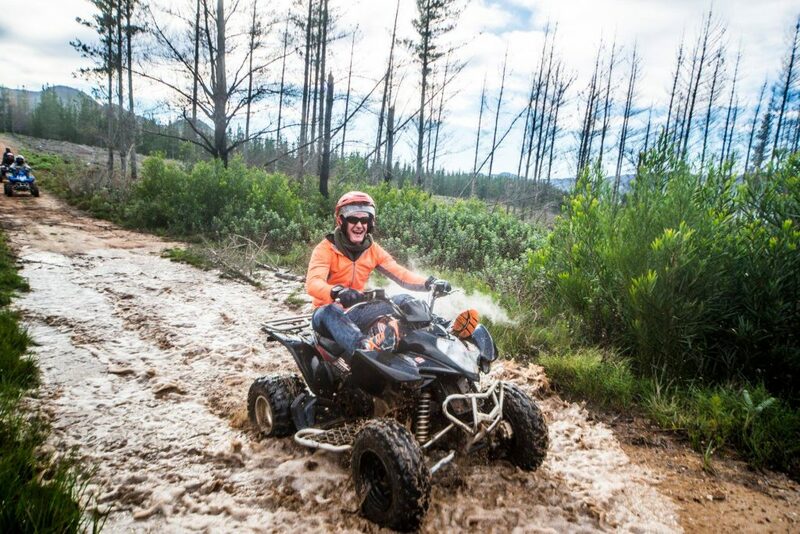 Being able to share this beauty and have an amazing quad bike adventure made our company teambuilding a truly memorable day. We grow and become our best selves when we take advantage of new adventures, as we all took one last sip on our coffee appreciating the unforgettable view, the rangers guided us to the next nature point a waterfall. As if what we just experienced isn’t motivation enough, the rest of the nature coarse was something we rarely given the opportunity to experience. 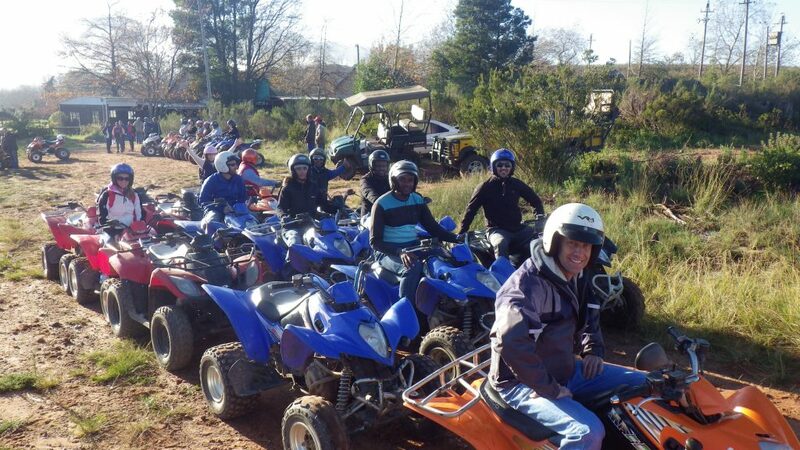 This adventure is sure to put on your bucket list as an individual or as we did a teambuilding event. Other than getting vitamin D and lowering stress levels this experience has brought great insight to how truly fortunate we are to live in such a beautiful country. On our way to the waterfall we passed the most exquisite fauna and flora, the Kogelberg biosphere is laced with wildlife and movie scenes, the lake we passed reminded me of Lord of the Rings could have been in Angelus Lakes, Nelson Lakes, National Park, New Zealand, searching for the ring. 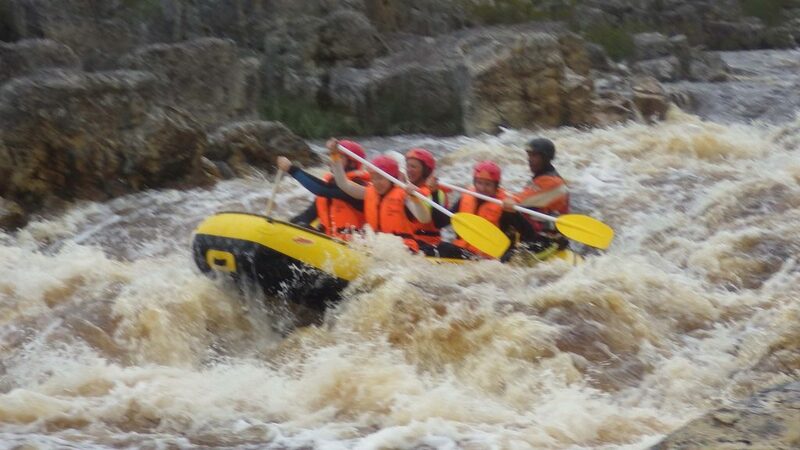 Just as magical we stopped at our next point this time the Giants Washbasin Falls. 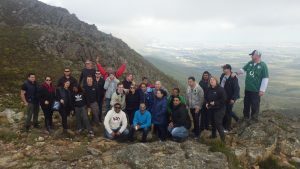 We all wondered up a narrow mountain trail to discover an wonderful waterfall tumbling meters down a rock face. Again I was silenced by nature. I could feel every one around me appreciating the moment. We finally headed back to basecamp to forever hold this adventure as one of our best teambuilding events EVER!